Posted by Candie Kates on Oct. 17, 2016 14:06:23. WhatsApp is the most widely instant messaging app on smartphones. Nowadays, most of the Android users have a WhatsApp account on their phone. The reason is that most Android phones these days come with WhatsApp installed in default. WhatsApp is the favorite choice of many smartphone users because it is the simple, easy way to send and receive messages, videos, and images across the world. Moreover, it is a free service. However, accident deletion of messages or chat history is the biggest problem faced by many people. Backup is really very important for data protection. You can do it manually with WhatsApp itself or cloud service. 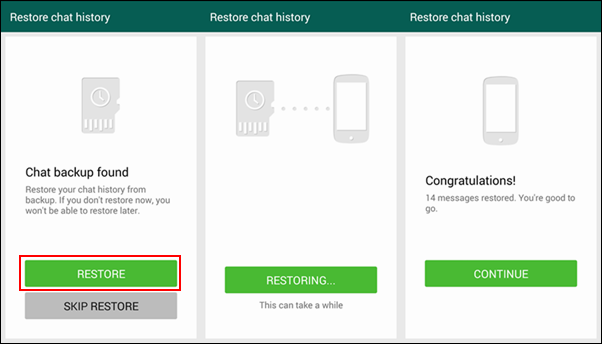 There is a backup function in default from WhatsApp from Settings -> Chats -> Chat Backup -> Back up. To restore from backup, you should first uninstall WhatsApp from your phone and install it later. When you open the app, verify the phone number and tap Restore option when being prompted. Now, all messages and chat history will be recovered from that backup. If you forgot to backup WhatsApp, the above method won't help in here. So, it becomes important to rely on a third-party tool. This is where TunesBro DiskLab for Android comes into help. As the name of this application very well denotes, TunesBro DiskLab for Android is highly optimized program in 2016 to recover all kinds of deleted or lost files for Android phones and tablets. There is a built-in features to retrieve deleted WhatsApp chat history or messages as WhatsApp stores all the data on the local database of Android devices. 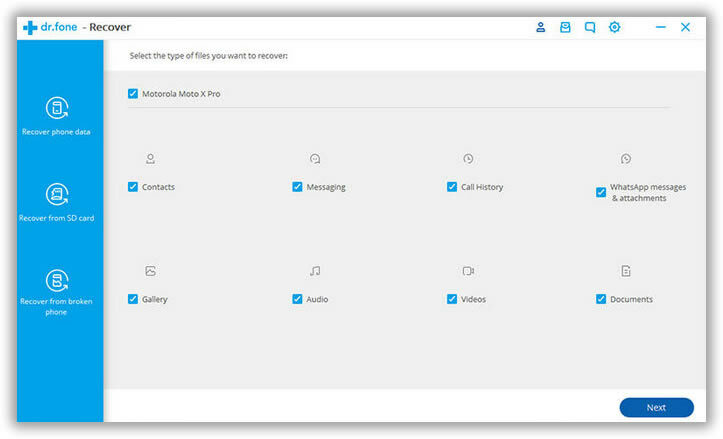 That makes it extremely easy to retrieve those data from Android. 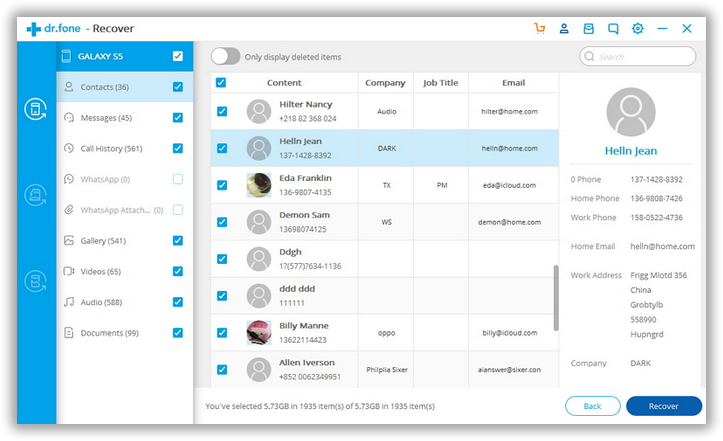 What's more, it is also able to recover other types of files, like photos, videos, contacts, sms and media files. Plus, all major Android devices are well supported by this program, including Samsung Galaxy, HTC One, Sony Xperia, Huawei, Motorola and many other brands. Please close other phone management software such as Samsung Kies, HTC Manager before the recovery. Or the process would be failed due to software conflicts. Now connect your Android phone to computer with USB cable. Once the device was detected by DiskLab for Android, the scanning process will be started automatically. If the program can't recognize the device, then you should make sure USB debugging is enabled on the phone. 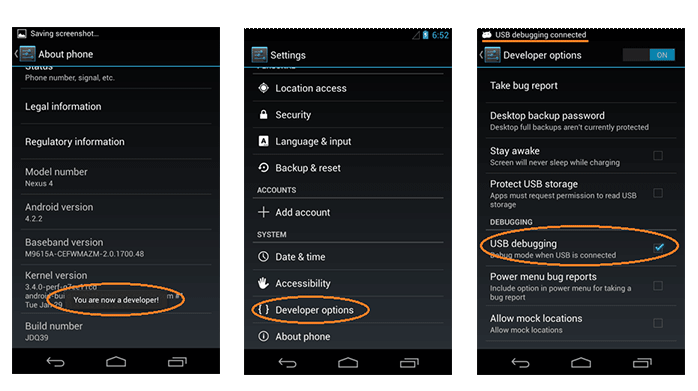 If you don't know how to do this, here is the guide to turn on usb debugging on Android. To maximum the possibility of data recovery, it is recommended to root your phone so the program can fully scan all the files stored on the device. It takes a while for data scanning because there are thousands of files on each Android device. The program needs to scan them completely and check the state of each file. So you have to be patient. Onc Once the scan process is completed by the application, you will find that all the documents, videos, photos, messages and contacts found will be listed on the basis of category. From this list, just look for the WhatsApp history and preview the items present in it. Just click on items that you wish to recover and click the Recover button. If you need the complete history to be present in WhatsApp, just recover all by selecting all the items listed in the preview page. 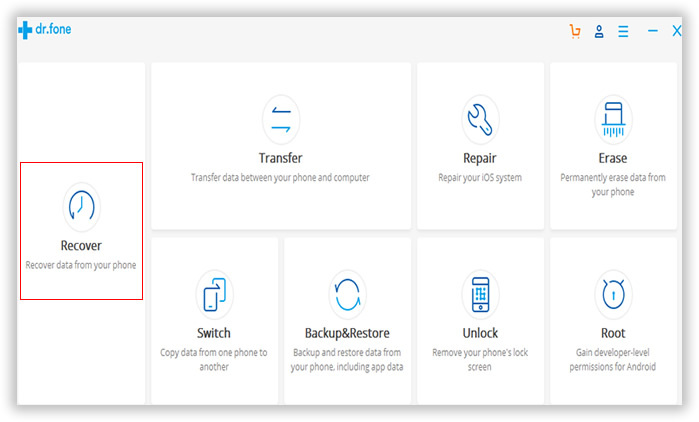 To prevent the loss of data from your phone, you should conduct backup on a regular basis, so that there will not be any data loss in the future. Even, if there is data loss from your phone, you can restore the data from the backup. But, with the availability of Android data recovery tool, you need not have to worry about backup and also about data deletion as the application will help you with easy recovery of any type of data that is lost from your phone.